Freelancers and remote workers - time tracking needs you! You've done it! You ditched the day job and are living the dream working for yourself, from home, in your pyjamas, picking and choosing your projects, clients and when to work. Bliss! But, after a few months the novelty wears off and you realise you are not making as much money as you thought you could. Reality sets in and you realise you should put the heating on during the day or sit wearing gloves and a scarf in the house. Why is the grass not as green as you thought it would be? What can you do to get your mojo back? It is all about routine and planning, your time is precious – time is money as they say, so you need to use it wisely. To make the most of your time you need to find a way of working that suits you, your business and your lifestyle best. The key to getting it right is tracking your time. By doing this you will see when you are interrupted least and when you focus most. You might discover that you work well by getting an early start out of the house by working in a coffee shop or that you are productive in the local library where there are less distractions and you don’t have to pay the heating bill. Once you have a clear idea of how you need to block your day you can set a routine for yourself. Once you have a routine it is easier to get going in the morning as it will become a habit. By tracking your time you can also see the hours that go into a project or piece of work - the true cost of your time. This is essential for billing and quoting clients. You can do it accurately by using the data you have collected. Rather than just making a guesstmate, you have access to a precise figure – clients like this as they know they are not being ripped off and there should be no nasty surprises upon completion of the project. The benefit of using an app to track time rather than just noting times down as you go is that you do not miss out on unbilled time (leakage). By using an app you can quickly and easily press start on your timer every time you answer a clients call or email. You can then use the software to assign these segments of time to each client, this is then automatically added up giving you the total hours spent working for each client. These little snippets of time are often missed with manual time tracking as it does not seem worth your while tp add them up, but, ten minutes here and there soon add up to hours, and as we all know time is money!! So, freelancers and remote workers; if you want to stop wasting time you need to start tracking your time, by doing so, you can spot your productively pattern, bill clients with precision, quote projects with accuracy and cut down on your paperwork. If we have convinced you, why not start tracking your time today. Click here to download the FREE Alpaka Punch time tracking app which is available in both the apple and google play stores. You can use it on any phone, tablet, desktop computer and laptop. 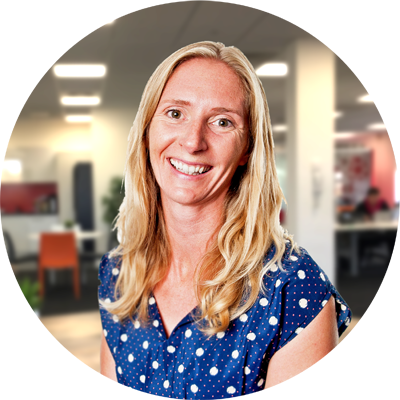 Kate balances being CMO for Alpaka's time and employee management software with being an almost perfect human. Her blogs and expertise are about efficiently handling three obnoxious children and a difficult 39 year old child who helps writes these.